Starkville Restaurant Week isn’t just about good eats. It’s about how good eats do good! 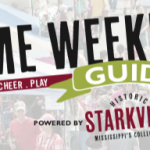 For the fifth year, the Starkville Convention and Visitors Bureau is honored to raise awareness about local charities doing good work in our community through the Starkville Restaurant Week $5000 Charity Prize presented by Cadence Bank. Nominations from area residents this year included an unprecedented variety of non-profit organizations impacting the Starkville and Oktibbeha County community. We were excited to see support for so many charities that have never been nominated before. Last week, the SCVB Board convened to review the nominations and make a final determination of our Top Three Charity Finalists. We are proud to present the results here. Congratulations to these deserving charities! Mark your calendars now for April 17-23 when you’ll have the opportunity to cast your ballot for which of these three charities will receive the $5000 top prize! Children’s of Mississippi serves as the only children’s hospital in the state of Mississippi. 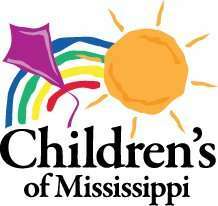 More than 180,000 children from all 82 counties were cared for by Children’s of Mississippi services this past year. In fact, those numbers include nearly 1,000 youngsters from Starkville and the surrounding areas. Children’s is made up of three Jackson area locations with Batson Children’s Hospital as it’s largest component, along with the Eli Manning Clinic and the Hinds Comprehensive Clinic. In addition there are two other locations: Children’s of Mississippi- Tupelo and Children’s of Mississippi- Gulf Coast in Biloxi. “Thirty-nine and a half years ago our family experienced first-hand the compassionate, comprehensive care in a family-focused environment by dedicated doctors and staff at UMMC Children’s Hospital, now referred to as Batson Children’s Hospital, in Jackson, MS. Each team member gave their best to each patient but after seven months, we lost one of our five-year-old twin daughters to Childhood Embryonal Rabdomysarcoma. The T.K. Martin Center for Technology and Disability is an educational program allowing families who have a child with developmental concerns to receive academic services, speech-language pathology and occupational therapy series under an individualized education plan prior to beginning kindergarten. Additionally, the TKMC provides adaptive services for wheelchairs, vehicle adaptations, and necessary communication evaluation and devices for children and adults who are unable to develop natural speech. ​Young Life is a Christian youth and student organization which was founded in 1939, and has grown to include groups across the United States and globally. The Starkville chapter began in 2013 at Mississippi State University with nine college students who were convinced Starkville needed a YoungLife program. 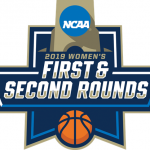 Since then, the program has developed into three ministries at the university, Starkville High School and Starkville Academy. Young Life currently includes four staff and forty volunteers that work with students on the three campuses in hopes of seeing more kids come to know and follow Jesus. Young Life leaders are caring adults who come sharing that hope as well as fun and lasting friendships with kids. Young Life is also all about fun. From club and camp to Campaigners and other activities, teenagers will have blast laughing, trying new things and being with their friends. Thank you to CADENCE BANK for supporting Starkville Restaurant Week as our grand prize Charity Sponsor. Cadence Bank will be awarding $5000 to the charity that receives the most votes during this year’s seven days of great eats — April 17-23, 2017!